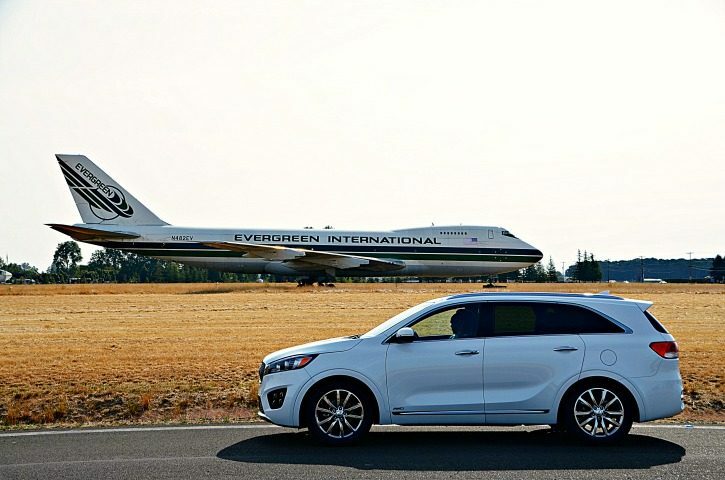 I was provided with a Kia Sorento for our adventure to the total solar eclipse. All opinions are my own. 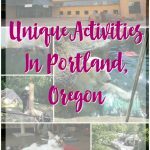 Back in May, we visited Portland with some friends in order to play with penguins at the Oregon zoo. We also headed to OMSI one of the days and the Planetarium show talked about the total solar eclipse that was going to be happening later in the year. That afternoon the four of us were already discussing plans to return to Oregon for the eclipse. We made the trip into a long weekend getaway and are so glad that we decided to make our way into the path of totality. Brad and I have some good friends who happen to live right in the path, so before we were even out of the state, I was texting her to see if we could hang out at their house for the weekend. They live outside Salem so we decided to spend a couple days in Portland before heading down to their house Sunday. Brad mentioned to me that he had seen a pretty cool waterpark in Oregon and it happened to be on our path between Portland and Salem (if we took back roads). Not only does the Wings & Waves Waterpark feature water-slides coming out of a 747, there was a wave pool and kid’s play area. The same property also features the Evergreen Aviation & Space Museum which is home of the Spruce Goose. We weren’t sure what traffic was going to be like getting down to McMinnville; so when we arrived 20 minutes before the waterpark opened, we took some time to explore the grounds (and even climbing on army tanks that they have out for exploration). It was so great seeing our friends again (and checking out their new home). Since their home is currently undergoing renovations, we glamped in their backyard. Sure we slept in a tent, but we had a queen size double height air mattress, a powerstrip for charging all our devices, and access to full bathroom and kitchen facilities. This was my type of camping. 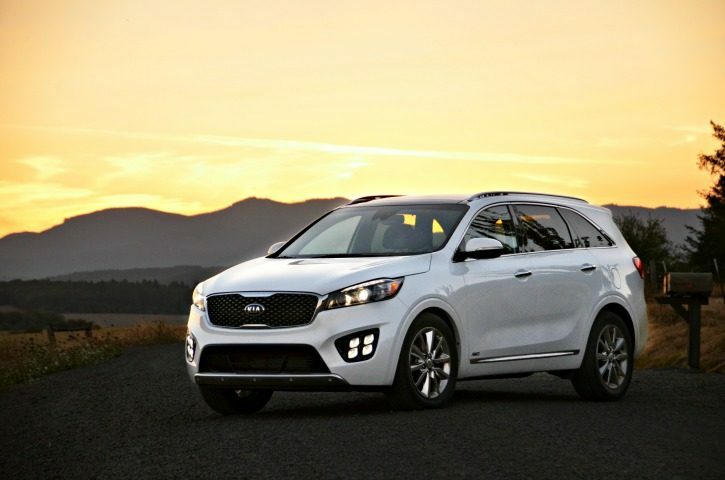 The Kia Sorento was great for our glamping adventure. Since we figured we’d be stuck in traffic, Brad and I carpooled down to the path of totality with Tyler & Sarah. With the 3rd row of seats down, we managed to pack in 3 suitcases, 2 tents, 2 air-mattresses, 2 sleeping bags, 1 set of sheets with king size comforter, plus our miscellaneous bags with snacks and laptops. The drive down wasn’t bad; however, we were very glad to have each other’s company on the drive back to Portland. 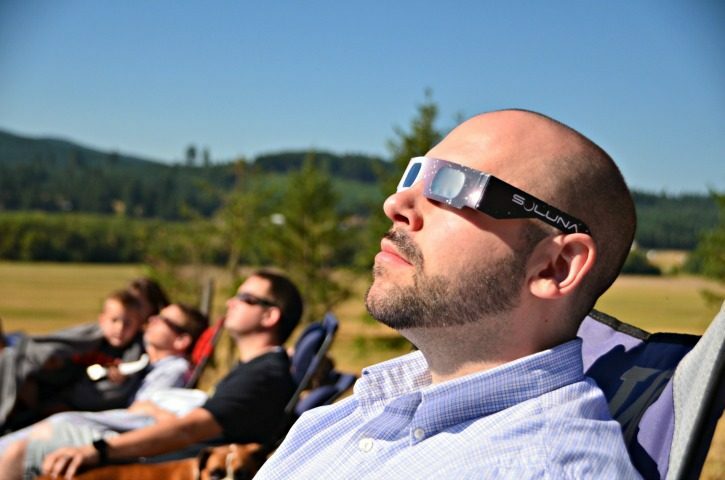 Being inside and just outside the path of totality is such a completely different experience. I was talking with my parents who said that they noticed a slight temperature drop; however, it looked like just any other day with regards to how bright it was. Totality was an amazing experience. All the sudden it got dark and really the only light we saw was by looking at the horizon. Since we were pretty much on the center line of the path, we had a nice “long” totality, but I wish it lasted a bit longer so I could have really soaked it in. Watching the solar eclipse in the path of totality was such an amazing experience. There is definitely a difference between not quite there and actual totality. The temperature got cooler as we got closer to the peak and the sky slowly got darker. Then it was suddenly dark and we all threw off our glasses. It was one of the fastest 2 minutes ever. Now we brave traffic to head north. I did manage to capture some amazing photos with my DSLR during totality and as we were just coming out of totality but this was 100% luck because I didn’t expect to get anything. Make sure to click through the photos in my Instagram above to see the different phases. We pretty much headed out once totality was over (because, like I said earlier, being just outside totality doesn’t really look different to a normal day). And Then We Hit Traffic. 7 hours later, we arrived at our friend’s house in Portland where we had left a car. This was with 1 stop to go to the bathroom about 5 hours in. We realized after the fact that we probably should have just stuck with our original path and not tried to take the “20 minute shortcuts” that Google offered us. 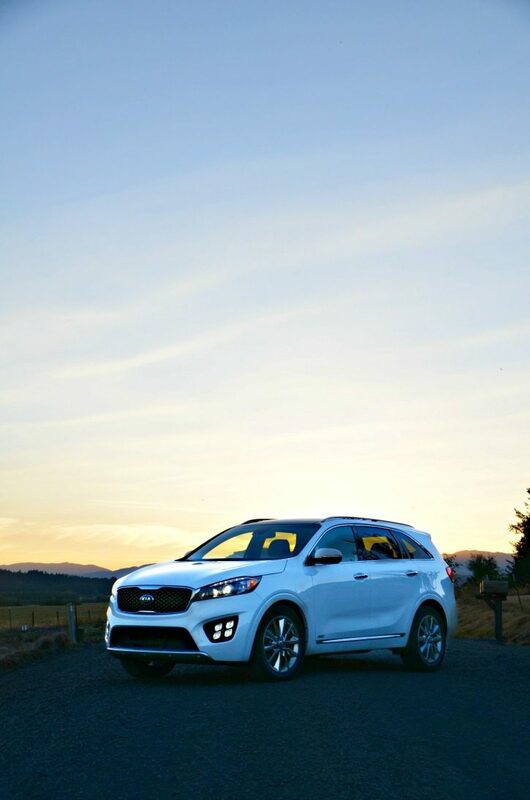 We were glad that the Kia Sorento features Android Auto as we could use Brad’s phone for Google Maps (and then switch to Waze when we weren’t sure what Google Maps was doing); and on the way down to Portland I utilized my Spotify playlists (don’t hate me, but there *might* have been some Christmas music involved). Brad and I had a quick dinner with a friend in Portland before heading back out on the road to get home. Even avoiding I-5, we had quite a bit of traffic for the first couple hours of our drive home. I took advantage of the AC outlet that is featured in the Kia Sorento so that I could charge my laptop when the battery died. I had mistakenly thought that we would be home early evening, but when I realized it was going to be quite a bit later, I pulled out my laptop to do some work. Even with the super long drive home, all 4 of us agreed that we would definitely head to the path of totality again. 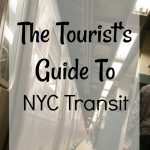 It is such a unique experience that it was something we were glad to witness. I might have to check out both the 2023 and 2024 eclipses to see how they compare (2023 is an annular eclipse, where the sun shows as a golden ring around the moon). One thing I will do next time is plan on hanging out for a day or two afterwards to avoid some traffic. 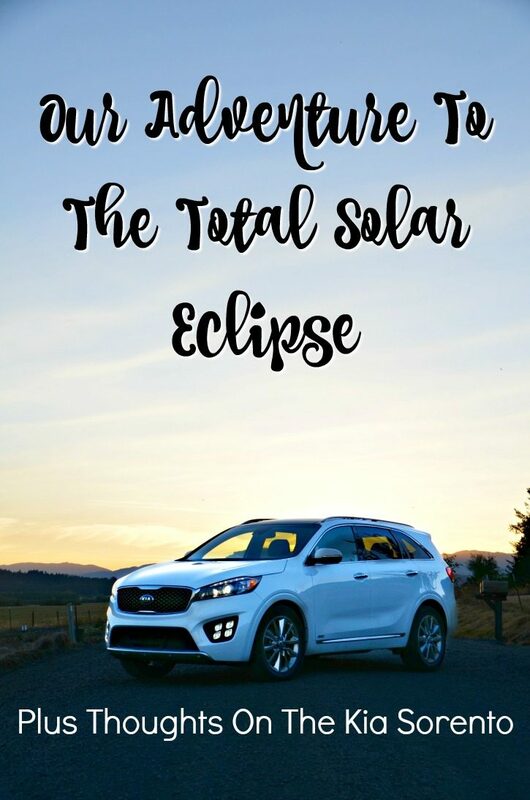 I would totally take the Kia Soreno to the path of totality again! 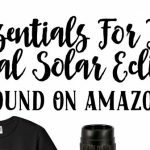 Are you going to head to the path of totality for the next solar eclipse? Where did you watch this one? I test drove one of these at Mom 2.0 and LOOOOVED it. It is incredibly roomy inside. 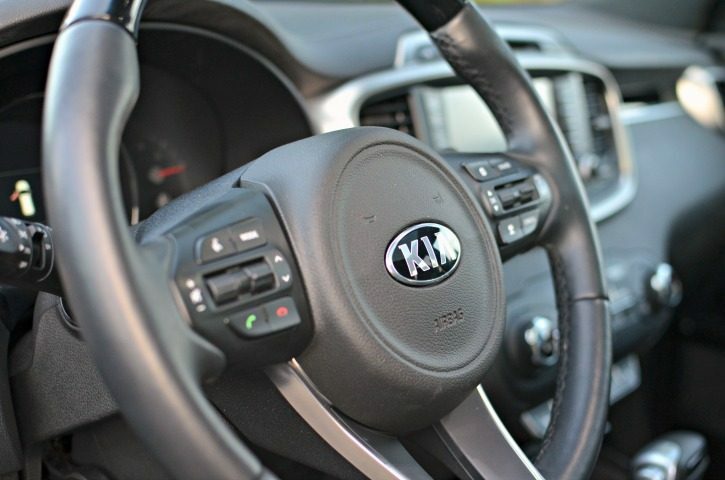 I love how comfy the Sorento looks! Perfect for a road trip! 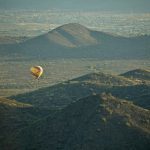 What an amazing experience you had! I’m so jealous! I was watching the eclipse happen on TV (it was disappointing here in NJ) and was freaking out every time totality occurred! What a fun road trip! I bet it was awesome to see totality during the solar eclipse. :) We had about 86% totality here. 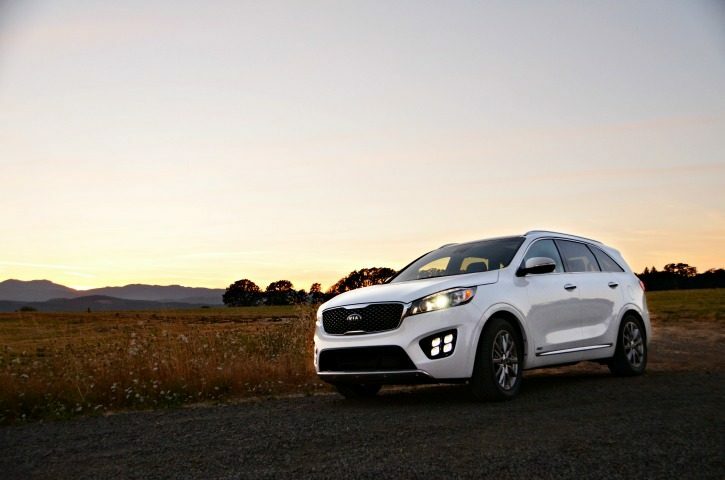 And it definitely looks like the Kia Sorento made the drive back more bearable for you all. Omg that photo of the dog :O That’s so awesome that you got to see it! In Nevada, it was too cloudy! 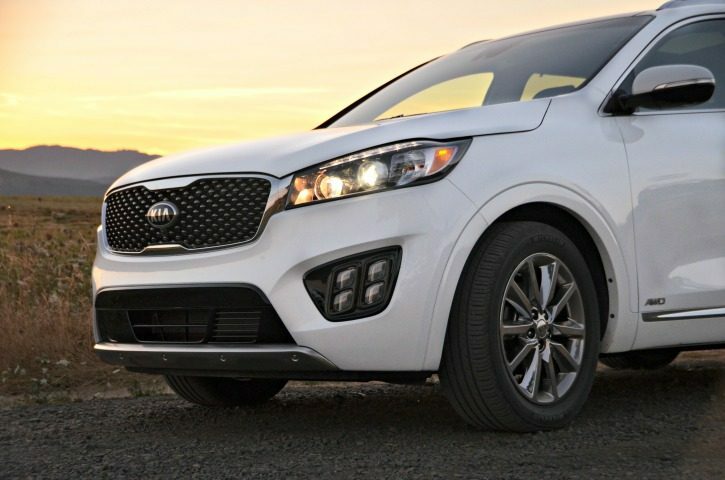 The Kia Sorento looks like a really nice vehicle! I love the size of it. 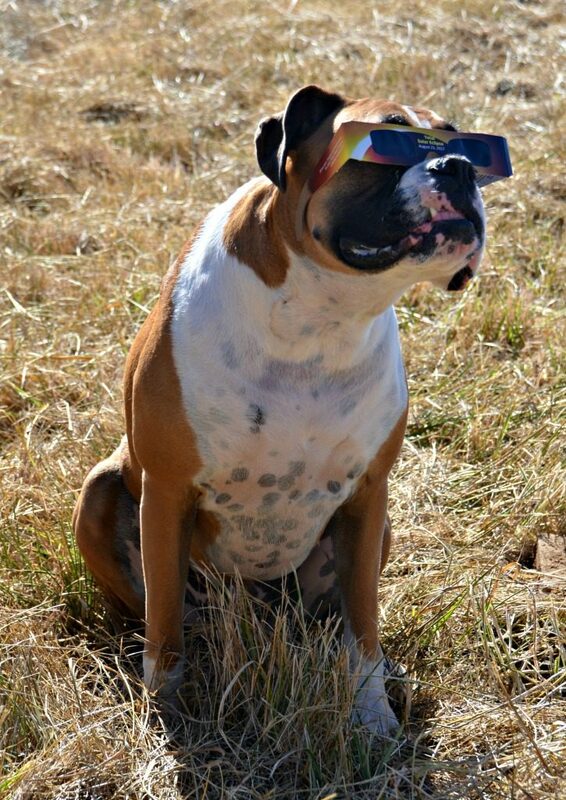 Your photos of the solar eclipse are incredible!